Paragon Software releases Linux File Systems for Windows. Now you can easily access disks and partitions formatted under the most common Linux file systems directly from your Windows PC. Linux File Systems for Windows by Paragon Software offers high-speed access to Linux file systems and supports Secure Boot protocol — there’s no need to turn off the driver when working with Linux volumes. Create, read, modify, copy, delete files on ExtFS volumes. Read files on Btrfs, XFS volumes. Full support for Secure Boot protocol. Download a 10-day trial version from https://www.paragon-software.com/home/linuxfs-windows/. The trial period can be extended by sharing a post about the product on Facebook. If you have already purchased Paragon ExtFS for Windows or Paragon ExtFS for Windows Professional, you can upgrade your product free via MyParagon account at https://my.paragon-software.com/#/login. Today we release APFS for Linux—the industry’s first driver that allows OEM solutions and embedded systems to access Apple File System volumes from Linux. This technology is already available for licensing to manufacturers of information appliances (e.g., set-top units, smart TVs, PVRs), infotainment and surveillance systems, medical equipment, network appliances (such as routers, switches, WAPs), and other devices. Read file metadata and access rights. Contact Paragon business team to help with solution design, integration, and maintenance. Since 1994, Paragon Software has been delivering best-of-breed solutions to enable assorted ﬁle systems across heterogeneous platforms and environments. Carefully designed for data safety, robust performance, and unobtrusive operability, this technology powers users and businesses across the world, including Belkin, Bosch, Cisco, D-Link, Dell, Toshiba, HP, Western Digital Corp., ASUS, Seagate, LG Electronics, Logitech, Buﬀalo, Acer, EMC/Iomega, Siemens, Lenovo, Microsoft, Motorola, Nokia, and ZTE. Enter the code “MONDAY” in our online shop to get a 30% discount on all data management products! The most essential tools for PC and Mac users at a great discount – today only! It is crucial that you always back up your important information and have a plan for recovering data from a system failure. An attacker could crash a computer’s OS or data may be corrupted by a hardware problem. All Paragon’s data management solutions, including Hard Disk Manager: https://shop.paragon-software.com/80/uurl-7s797q1ckq at 30% off. Hurry! Posted on November 27, 2017 Author Ekaterina ShabanovaCategories Uncategorized2 Comments on It’s Cyber Monday! Paragon Software Group Releases Hard Disk Manager Version 16 with Redesigned UI, New Backup Wizards and 35 Key Features for Home Users! Paragon Software Group releases the latest edition of Paragon Hard Disk Manager 16 – a complete all-in-one software to protect, maintain, and manage PC data. 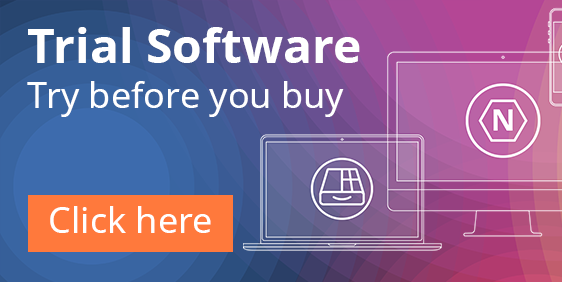 This software assembles more than thirty advanced data management technologies, including partitioning, boot correction, file and image backup, disk copying, secure data wiping (including on SSDs), and flexible recovery options. Even more, the most essential easy-to-use backup and recovery functionality is available free of charge — including Recovery Media Builder in case of data loss. Additional backup and partitioning features are available at the cost for advanced users. The new release offers a completely redesigned, intuitive UI, new handy graphics to represent feature sets, and advanced functionality to accomplish system and data management tasks easier than ever. Complete backup strategies save time and effort in configuring regular backup jobs for entire computers, individual volumes, or files. In addition to regular backups, the new release allows users to restore older copies of data files from archives created by earlier software editions. 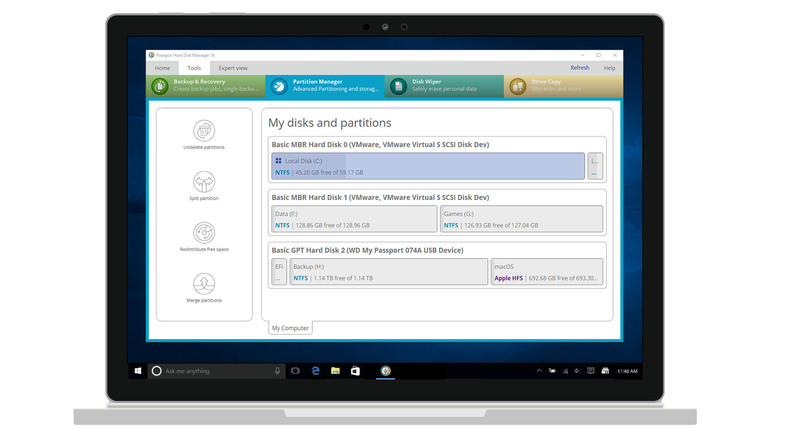 The latest edition of Paragon Hard Disk Manager 16 also provides advanced users full control via additional backup strategy settings. The new Create Backup Job Wizard makes complex backup processes simple and ultra-fast, allowing users to define automatic backup jobs by selecting from predefined strategies. Create Backup Job Wizard has several built-in automatic backup strategies to choose from, or users can create their own. When creating your own backup strategies, users specify the start time (daily, weekly, monthly, or at specific events, such as system start or user login), adjust the number of increments created, define a strategy for deleting old archives, and control other options, such as shutting down the PC after backup. Another handy new feature is the creation of network connections, which are used to save backups on networked storage. Despite the name, Paragon Hard Disk Manager is not only great for hard disk drives but also for solid state drives (SSDs) and virtual disks. This utility helps the home user backup and restore anything with an exact replica of a selected partition or system disk; manage partitions; permanently wipe sensitive data; and migrate specific files or the entire operating system to different storage devices. In the event of data loss, powerful restore options allow users to easily recover anything from the full system to individual files or folders. In case of boot-related problems like file system corruption or hard drive failure, the free Recovery Media Builder included in the basic version helps users create a backup that might later restore files in case booting into Windows the normal way is not possible. Most importantly, if ransomware or other malware encrypts files, the user can safely recover data using the Recovery Media Builder and restore the system to normal quickly and effortlessly. Fast migration to new HDDs & SSDs. Windows 7 SP1 and later. Paragon Hard Disk Manager Version 16 is available for free download at https://www.paragon-software.com/home/hdm-windows/ Basic functionality is available free of charge. Advanced functionality is available for $79.95. Posted on October 27, 2017 February 23, 2018 Author Ekaterina ShabanovaCategories Uncategorized6 Comments on Paragon Software Group Releases Hard Disk Manager Version 16 with Redesigned UI, New Backup Wizards and 35 Key Features for Home Users! 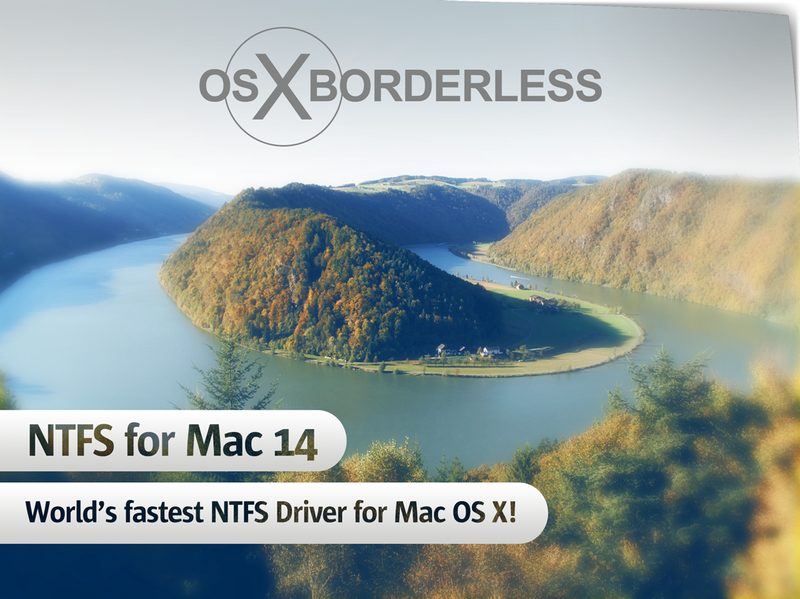 Paragon NTFS for Mac 15 supports macOS 10.13 High Sierra and is now available as a free update to all Paragon NTFS for Mac 15 customers! Posted on September 26, 2017 Author Ekaterina ShabanovaCategories Uncategorized17 Comments on Paragon NTFS for Mac 15 supports macOS 10.13 High Sierra and is now available as a free update to all Paragon NTFS for Mac 15 customers! Redistributing free space on NTFS partitions has never been easier! 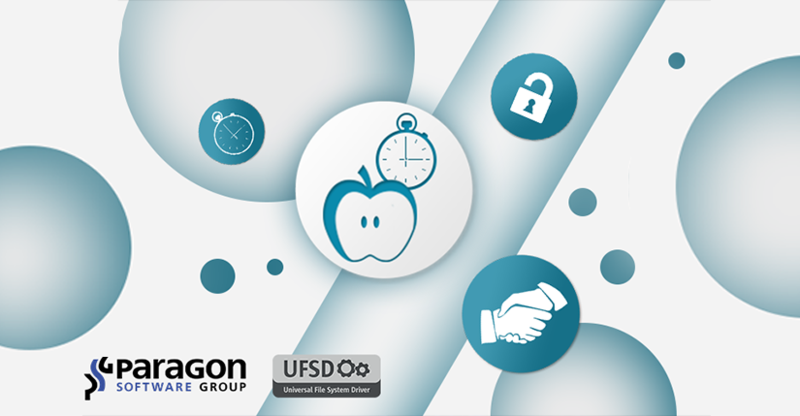 Paragon Software Group has released a new edition of Paragon CampTune, a utility for redistribution of disk space between HFS+ or APFS (Apple File System) and NTFS partitions on macOS systems. With just one slider, dual-boot users can instantly allocate more disk space to either macOS or Windows operating systems. Paragon CampTune is the first Paragon macOS product to support Apple’s APFS. The update also offers a host ofnew features, including System Integrity Protection (SIP) management, which allows users to selectively disable individual parameters for this security option. Paragon CampTune is available for $19.95 at https://www.paragon-software.com/home/camptune/ Current Paragon Camptune X users can buy an upgrade to Paragon CampTune with a 50% discount. Posted on September 26, 2017 Author Irina DubrovinaCategories UncategorizedTags APFS, Camptune, mac, NTFS partitions, ParagonLeave a comment on Redistributing free space on NTFS partitions has never been easier! One of the most exciting features Apple announced at WWDC 2016 was a new file system APFS (Apple File System) that’s going to replace CoreStorage, FileVault, FusionDrive, and the more than decade-old HFS by eventually becoming the default file system for all Apple gadgets in the coming years, from the Apple Watch to Mac computers. Among other novelties APFS, currently available as part of the macOS Sierra beta, brings a long-anticipated file system mechanism called snapshot. In short, snapshot allows users to grab an instant copy of the file system at a specific point in time — effectively “freezing” data — while continuing to use and modify the file system while keeping old data intact. It does so in a space-efficient manner, where changes are tracked and only new data blocks take up additional space, which is extremely valuable for regular backup. There are various snapshot technologies on the market, but the most well-known today is Microsoft Volume Shadow Copy Service (VSS), which is integrated into Windows XP and later. It’s no wonder most PC backup vendors utilize it instead of developing their own online backup solutions: Invoked by a supported backup utility (requestor, in Microsoft parlance), VSS saves the initial state of data blocks residing on disks by creating shadow copies for each volume involved in the process as virtual read-only devices. The backup utility then copies data from those shadow copies to a backup location, while OS and applications continue writing to the original volumes. This trick ensures consistency of backup data at any given moment, while allowing standard read/write operations for target storage devices during a backup process. Once the backup task is completed, the shadow copies are deleted. Obviously, the arrival of similar snapshot functionality in APFS promises big changes to Time Machine, which promises to completely replace the creaky, aging mechanism of hard links that it builds and maintains – a slow and resource-consuming process. Currently, Time Machine has to wait until user applications are closed and locked files become available to process files, while ignoring system files at all, which is why OS X has a two-step restore procedure: Users first reinstall the operating system before restoring apps and user files from a backup image. Snapshot opens the door for fast, regular backup imaging of the entire system including user files, running applications, and operating system. By only saving changes when a file is updated, a snapshot-based backup app also requires much less disk space. All this promises that in the not-too-distant future, Time Machine backups could be faster and occupy less space than they do today. In the meantime, the only snapshot technology available to Mac users is our Snapshot for Mac OEM. The concept of the Paragon Snapshot for Mac technology is based on embedding a special filter driver into a kernel input-output (I/O) stack between a block device and the file system. The goal is to save the initial state of data blocks on a disk at the time the snapshot is taken to provide backup data consistency, while the OS or applications continue modifying data on the same disk. When attempting to write something to a block device for which a snapshot has been taken, the filter driver first copies existing data from the targeted blocks to a special temporary file called the backstore, and only then the writing operation is allowed. This way, Snapshot for Mac doesn’t prohibit rewriting data on the block device snapshot, but only postpones it until old data is copied to the backstore. Thus, for data blocks changed after a snapshot is taken, Snapshot for Mac provides a backup engine for initial data from the backstore, while unchanged blocks are stored directly on the device. If you develop your own backup solution for Mac or represent a vendor of disaster recovery solutions for businesses of all sizes, you can make it even more robust by accelerating backup routines while increasing customer satisfaction and loyalty. Paragon Snapshot for Mac will help you to increase your target audience with companies whose businesses rely on Macs: For example, design firms, movie production studios, and more. Paragon Snapshot for Mac OEM allows you to easily and quickly back up running applications and system-locked files, create RAW disk images, or an image of any volumes (e.g. NTFS or ExtFS-formatted Windows or Linux partitions). In the newly updated version, Paragon Snapshot for Mac OEM doesn’t require a post-installation reboot, no longer loads and runs in the background when OS X starts up — all of which helps minimize any potential slowdown for the Mac. We designed it to achieve maximum productivity with a minimum of required operating system resources. While Apple’s new file system promises the snapshot, Paragon Software delivers it — check out the full features of this amazing solution on our website! 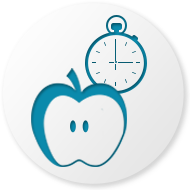 2-4 times faster than file-level backup/restore procedures!